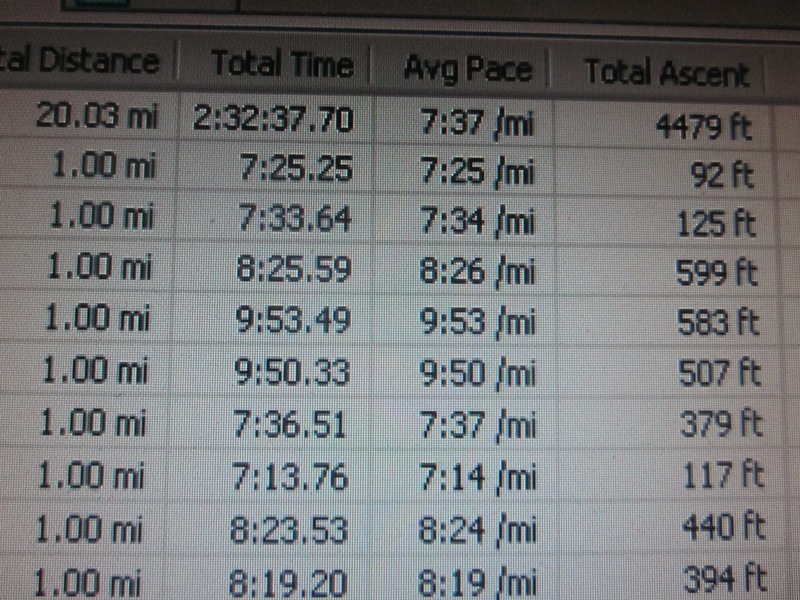 20 miles in 2:32/ 7:37 average pace. 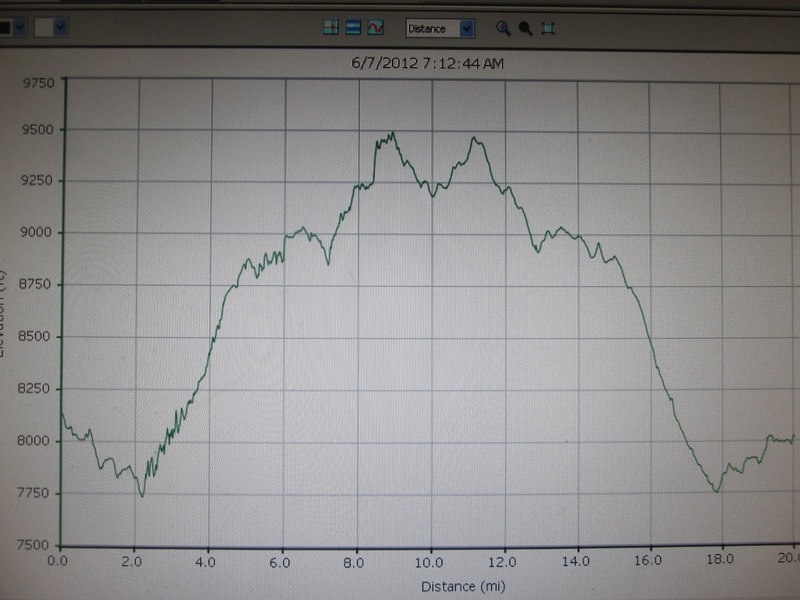 4480 feet of Garmin vertical. 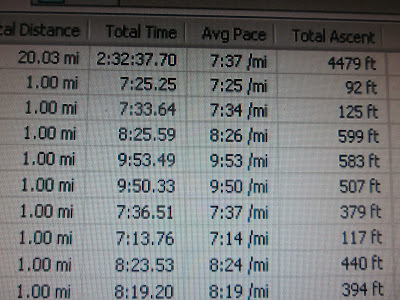 Tuesday I ran a MAF test on my 10 mile/ 1800ft vertical course and averaged 7:12 pace at HR 146, one of my top 10 fastest times ever... but I was at MAF. 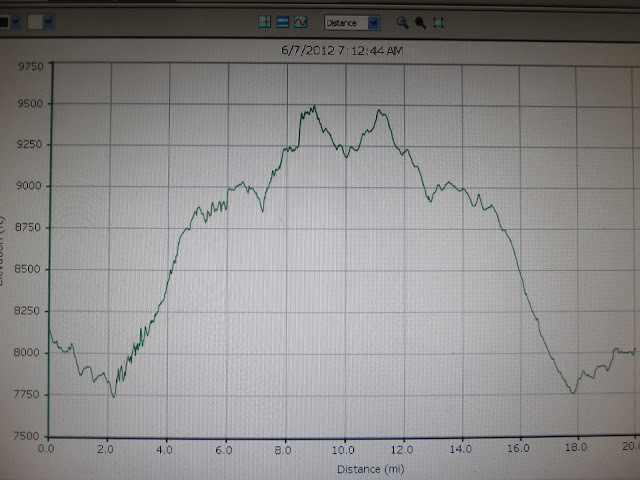 Yesterday was a long bike with 8600ft of vertical with a few hard efforts. I didn't feel like my climbing legs were under me today, but the pace was still solid. Things are lining up very well for the marathon in a few weeks and Mt Evans next week. Good luck, Lucho. Rooting for you. I just listened to your Ultra Runner Podcast interview and was interested in the part where you talked about fixing runner's knee in 5 days with some weight exercises. I have had IT band issues for a while now on and off. Are there a couple exercises you could recommend for that? Is that usually just a muscle imbalance thing too? Kyle- I caught my issue immediately and took a few days of rest (I think I biked is all) and also did leg extensions which was just enough to resolve it. Rest is critical. ITB can be caused by a bunch of things from weak hip abductors to foot rotation (biomechanics). I woudl say to massage your ITB first to try to get it to loosen a bit. Also google some stretches for ITB and hip abductors. Lateral leg raises against a resistance band will be the exercise to strengthen your hip abductors. Tough to say definitively what is causing the problem but maybe start there?